The Twelvetrees Lab is a newly established research group at the University of Sheffield, based in the Sheffield Institute for Translational Neuroscience. We are fascinated by how the microtubule cytoskeleton and its motor proteins build and maintain neurons. We aim to understand the molecular mechanisms of this process and create new avenues for translational research. Explore our research through publications, current projects or our experimental approaches. Get to know us! Learn about the lab and our location, meet the team or read out latest news on the lab blog. EB3 comets falling in a dendritic tree. Individual kinesin molecules walking along immobilised microtubules in vitro. Dynein-GFP oscillating between developing neurites imaged over 14 hours. 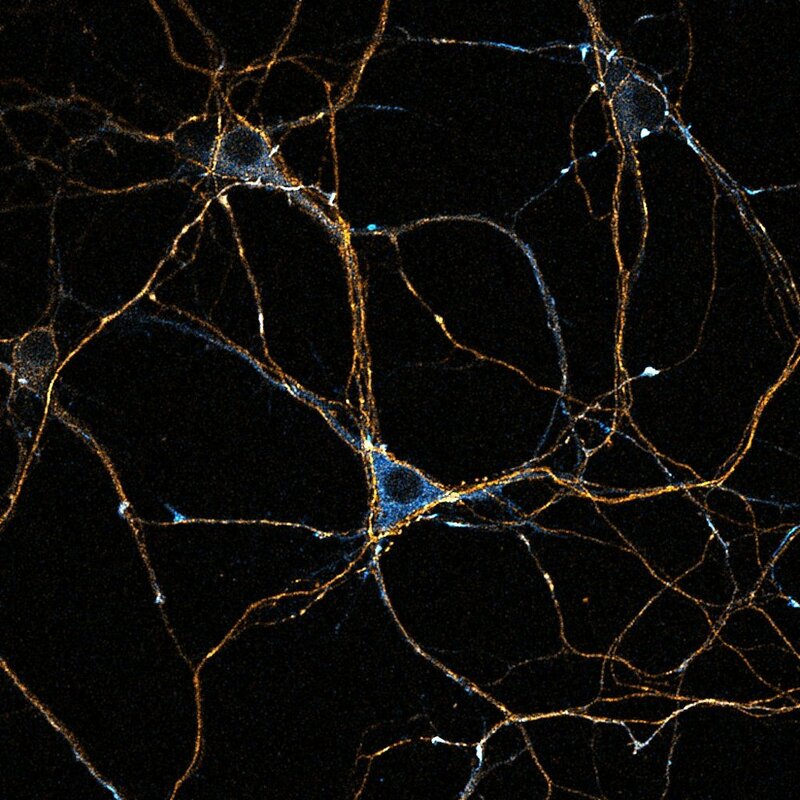 Dynein-GFP (cyan) accumulating in the distal axons labelled with for tau (orange).